The Sai Jyoti is Swami’s blessing upon us. Karmali Samiti got the privilege as the first samiti to host the ‘Sai Jyoti’. On Sunday (26th Oct) they organized ‘Sri Sathya Sai Samuhik Sathya Narayana Katha- Mahapuja’ in the temple of Shri Shirdi Sai Baba at Ribandar. Sri Sathya Sai Samuhik Sathya Narayana Katha is just like Sathya Narayana Katha, but instead of Lord Sathyanarayana’s phot, we place his incarnation’s photo- i.e. Lord Sri Sathya Sai Baba. Also it was a mass mahapuja. 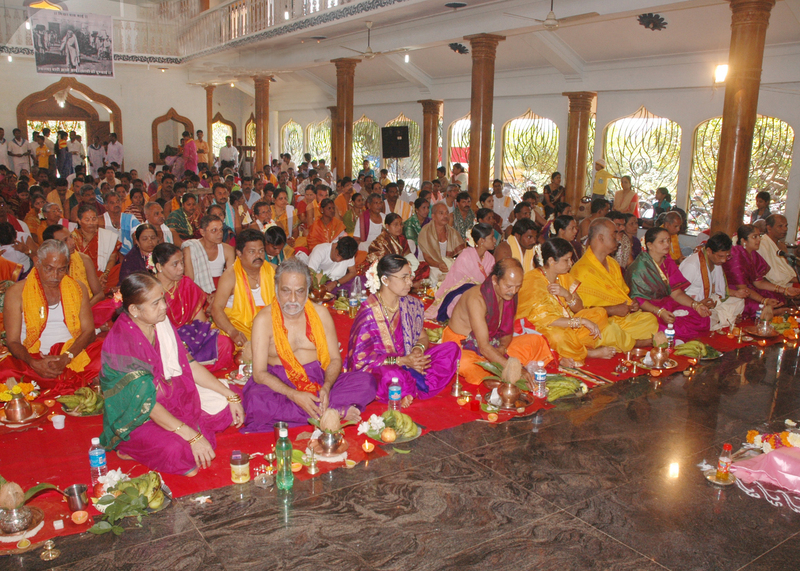 Around 83 couples performed the puja taking Sai jyoti as witness. Early morning, Karmali samiti had made necessary arrangements like decoration and placing of swami’s photos, lamps and utensils for about 83 couples and about 16 singles who were going to take part in the mahapuja. 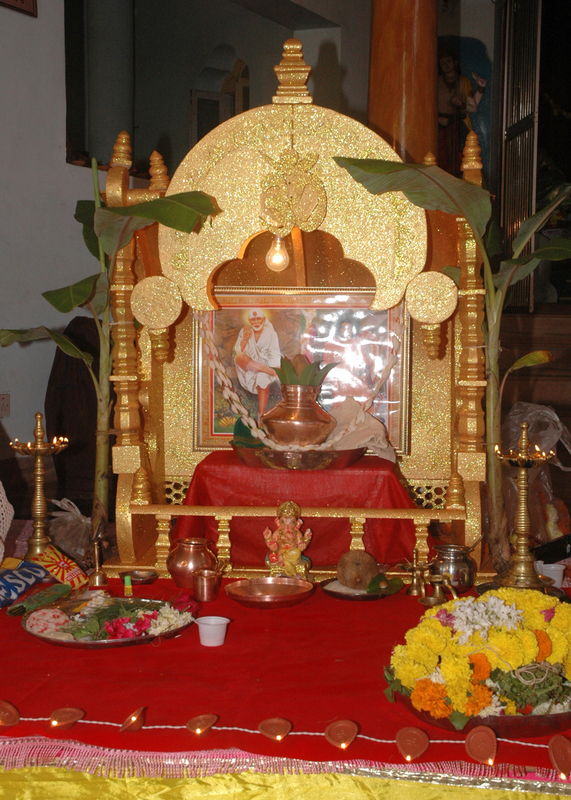 ‘Sai Jyoti’ was enthroned near the altar of Shri Sai Baba’s marble statue. In the open hall, the duo photo of Shirdi and Sathya Sai Baba was installed in a mandap with small banana plants on either sides. The program began at the sacred mahuratha and the head priest gave the necessary instructions to the couples with the help of microphone. After the Mahapuja, Dr. Arun Bhobe, the District president of Goa Samiti explained the significance of Sai Jyoti and the Sai Sathya Narayana Mahapuja to the couples and told them to follow the path of Love and Dharma. This was followed by bhajan and prasadam, which included lunch.